When New England Patriots quarterback Tom Brady played in his first Super Bowl in 2002, there was no iTunes store, no Facebook, no Instagram, no Airbnb, no Gmail and no Skype. Today the companies who own these intangible assets are worth more than $4 trillion. The rise of the intangibles economy will have sweeping policy implications that will become clearer over time. Nobody knows for sure where this is heading. Our overriding objective in this paper is to help catalyze a bi-partisan policy discussion about a new “north star” for Canada’s economic competitiveness and the types of policy reforms needed to start us on this path. As part of this process, we set out a series of policy recommendations that cover the classic drivers of competitiveness such as taxation and regulation and drivers for the intangibles economy such as data governance, intellectual property retention, and the race for talent. But as important as these prescriptions are, the main takeaway for policymakers and the Canadian public is that the rise of the intangibles economy requires that we test old assumptions and are open to new thinking. Canada’s economy cannot afford complacency in this new economic era. In the world of policy and politics, short-termism and complacency are difficult to resist. They trump partisanship. They trump best intentions. Pressure mounts on any government or political party to respond to immediate issues and keep an eye fixed on the four-year election cycle. Both of us observed these demands in our respective positions as economic advisers to national governments. The problem is that reactive governance is inconsistent with the mix of long-term policies required to promote broad economic participation and growth. For a competitiveness agenda to maintain and raise Canadians’ quality of life, it demands discipline, focus and a vision that extends beyond the election cycle. It thus requires a multi-partisan commitment. A change in government may naturally result in new preferences and priorities, but it should not cause us to lose collective sight of the common bases of competitiveness, productivity and jobs, and the greater opportunities and outcomes they produce for successive generations. In response to the Ontario Securities Commission’s (OSC’s) January 14, 2019 request for comments, this submission responds to the eight questions set out in the OSC’s Staff Notice 11-784. This submission draws heavily on, and also updates, the Association’s earlier submission to the OSC dated August 24, 2017 (see Appendix), which primarily focused on the crowdfunding requirements in Ontario. 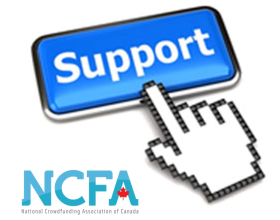 The National Crowdfunding and Fintech Association of Canada (the Association) represents over 2,000 fintech SMEs and individual members that support financial and capital market innovation, small businesses and technology. We are pleased that the Ontario government is undertaking this important regulatory burden reduction initiative to the benefit of all Ontarians. The Association has consulted a number of diverse crowdfunding and fintech stakeholders – including exempt market dealers, industry experts, securities lawyers, regulators and government agencies and is proposing several recommendations to reduce unjustifiable burdens placed on Ontario’s businesses. − Allow fintech solution to streamline KYC and suitability tests. Implementing these recommendations will help drive entrepreneurship, innovation and job growth. Accelerated commercialization of new products and services. Crowdfunding drives innovation, economic activity and job growth. It fills a critical early stage funding gap (commonly referred to as the ‘valley of death’), enables more productive investment in venture markets and strengthens early stage capital markets. 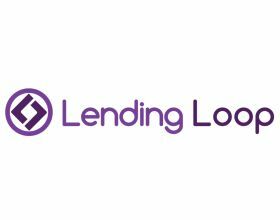 Crowdlending also provides support to more mature companies looking to access capital that may fall outside the parameters of bank lending. Contrary to the intent of the crowdfunding exemption, Ontario’s crowdfunding requirements hinder access to capital for SMEs across a multitude of sectors. These requirements have also restricted innovative opportunities for retail investors and our members feel the impact of this directly. Ontario’s economic growth is being hindered by regulation like the crowdfunding requirements that fails to promote economic growth. The potential of opening up regulation is significant increase in job creation and economic development. For example, Ontario’s 417,000 small businesses would benefit from the increased access to capital that crowdlending offers and the effects would be a strong boost in job creation throughout the province. Canada has fallen behind international competitors like the U.K. and the U.S. Crowdfunding platforms now represent the largest investments at the seed stage in the U.K. and peer-to-peer platforms now represent 15% of all new bank lending to small businesses. Without a streamlined, flexible, nimble, and principles-based regulatory system – one that allows new rules to be formulated, while expelling old, outdated rules – Ontario’s regulatory climate will continue to stifle innovation and drive business costs up and productivity down. Ontario’s economy, businesses and consumers at all levels suffer, however, small businesses, innovators and entrepreneurs are the hardest hit. 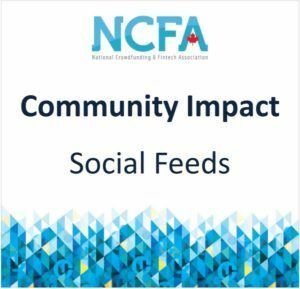 On behalf of the burden reduction committee at NCFA, we look forward to contributing ongoing input into Ontario’s burden reduction initiatives. Please contact us at any time to discuss further. BIO: Peter-Paul has over 15 years of experience in finance, investment management, and business consultancy. He's held multiple senior management positions with global banks including ABN AMRO Bank and Royal Bank of Scotland in the areas of corporate strategy, commercial and investment banking. Upon relocating with his family to Canada in 2010, Peter-Paul worked as a consultant for several early stage companies and experienced the challenges that they face in attracting capital. He realized that venture financing was not leveraging technology and in 2013, Peter-Paul founded FrontFundr to address this challenge and take on the opportunity to create the New Capital Market, online and accessible to everyone. Peter-Paul also serves as a Director on the National Board of the Private Capital Markets Association of Canada (PCMA). He is an Advisor of the National Crowdfunding & Fintech Association Canada (NCFA) and Founder Member of the Institute for Blockchain Innovation (IBI). Peter-Paul holds a Master of Science in business economics and finance from Erasmus University Rotterdam, in the Netherlands. Manseeb Khan: I have the absolute pleasure of sitting out with Peter Paul. Peter Paul. Thank you so much for it. Oh, it's said I mean I've been super excited to have you on the show. For those who don't know you Paul is actually the CEO and Founder of FrontFundr. Peter Paul thank you so much for the now. Peter-Paul Van Hoeken: Hi Manseeb it's a pleasure to be on your show. Manseeb Khan: So, for the five or six people that may not know essentially who you are and what FrontFundr is could you just give us a quick rundown of a little bit of your background and a little bit of what FrontFundr. Peter-Paul Van Hoeken: Sure. Yeah so, my name is Peter-Paul Van Hoeken and you can find our CEO of FrontFundr. My background is basically in finance. I worked for about eight nine years in banking in Europe relocated to Canada in 2010 and also moved on, moved away from the banking industry more down the entrepreneurial path and started working with small companies help them get ready to raise capital and connected with the prospective investors and so that that time was actually that wasn't an experience a time where I experience how challenging it is for small companies to raise capital and also how we're not using electronic means like the internet and digital technology to facilitate that whole process of connecting early stage companies with investors. So that's where the whole idea about FrontFundr essentially came from. And it was by doing already happening in other geographies like the U.K. Australia is essentially to bring investing in funding and an investment in young companies to bring it online and connect startups with the wider investor community essentially the public and that's called these days often investment, crowdfunding or equity crowdfunding and that is what friends are doing. We're currently Canada's leading online investment crowdfunding platform. Manseeb Khan: I love your guys approach. I love the other Canadian companies I mean we definitely had some of the other crowdfunding and opening up the borders and just allowing everybody to kind of be able to invest in companies that shows in and of itself it just makes it that much more, the fact that guys are making that much easier and much more accessible and just really simplifying the whole investment process and kind of making it that much more welcoming for everybody. That was also pretty incredible. Peter-Paul Van Hoeken: Thanks yeah, it's been an interesting journey because the challenge of course crowdfunding is one thing in penetration of crowdfunding It started with Kickstarter and Indie go and those and fund raiser in Canada is the traditional form. But when it involves Investments and Securities of course it becomes a totally different ball game because then you're dealing with you know securities regulation as well and so to bring those pieces together to you know the regulatory side of it and the technology side and then to basically launch that the platform has been definitely been in an interesting journey so far but as you say it's very exciting too for us to enable companies to raise capital from essentially from the public right? and to reach out to perhaps their existing customers and anyone that really is excited about what these companies are doing. And I'd like to be part of it now they can actually invest in these companies that for as little as you know a couple of hundred dollars you become a co-owner in a company. So yeah, it's an it's a very exciting phenomenon and it's on the rise worldwide but so. But now also in Canada. Manseeb Khan: Yeah. No, I mean I absolutely agree with you. I mean now that startups are on a pedestal. I mean like if you still LinkedIn that long enough you definitely find like five or six companies that you find of interest and the fact that like now you can take it one step further and kind of go like oh hey you know like that company. I'll make up a company like the company that like the bird of Toronto or whatever. Right. Oh, like you love them, and like the CEO has an interesting story. You know hey with FrontFundr you can actually invest like a couple hundred dollars like you said in that company actually support their journey and actually support the vision that's pretty incredible. I'm going to put a pin into you mentioned regulations. I'll put a pin into that for a little bit later. You had an interesting journey. I mean I want to dig into that a little bit more. Could you just give us a little bit more detail of what your journey looked like the trials and tribulations because this isn't your first time at the rodeo and you guys are right now you guys are going through a massive raise. So, could you just talk a little bit more of the journey and everything leading up to the raise and currently what's kind of going on with the raise. Peter-Paul Van Hoeken: Sure yeah. And it's a very excited to share and share that with the listeners is that we you know we are indeed. And we just launched our own race. I mean you know at the end of the day we are in an early stage company too. And we also need capital to grow. So. So why wouldn't we drink our own whiskey and use our own platform to raise capital. And that's exactly what we're doing. And we've done it indeed before twice already. So essentially listing FrontFundr on Frontfundr so listing ourselves on our own platform and opening it up for the public to invest. And we just launched our third campaign last Thursday on Valentine's Day along the lines of FrontFundr the heart of Canadian business and opening it up for everyone to participate in our company in our you know in our online platform. And for a minimum investment of five hundred dollars. So, we're. Yeah. We're really using our own solution and obviously fully believe in it. And it's exciting. It's also great to be actually on the client side a client's company side of our platform right. So really use our own solution to raise capital for own capital form our company. So, we are very excited about that. And we just launched it last Thursday as mentioned and we will close by the end of March. We will close this raise. Manseeb Khan: I love that you guys a drink your old whiskey. I'm going to put that into the little description. I love that so much. It's interesting switch going from the actually running the platform to actually being on the platform that I mean kind of funny. It's very interesting yes. Yeah. It is interesting. Like you don't really. It's a very unconventional approach does not many it makes sense like it that makes sense. Hey like if you are a crowdfunding platform you guys are going to raise want to open up the opportunity for everybody that's been following your journey. Because now like startups actually have fans behind them which is really interesting. Right. Peter-Paul Van Hoeken: Well yes absolutely. It is an interesting experience and it's kind of it's in a way almost a no brainer. And yes of course you're using your own platform right but it's it is indeed an intense experience to be sort of on the client side if you like and use our own platform also. It's a great experience because we've had done it twice before is that the you know as you just mentioned companies raising on our platform you're really going. You're going out there to potentially anyone who wants and invite them to participate in your company, but you need to work on that. Right. So, we always tell our client companies hey you know listing on FrontFundr is nuts. So that's the end all be all. Yeah exactly. You know you've got to support it as a company by you know sharing exciting new stories about your company about progress or milestones or any updates that to show that your company is doing well and growing and the things that people can get excited about. So, you want to share it with your potential investors and that's how you attract investors and then come to the platform. We've got a significant user pays no investor base but it's still always as we like to say. Kind of you know working in partnership with companies on our platform to make a successful raise right. Manseeb Khan: No, I absolutely agree with you through. I mean I'm just thinking of putting your company just on FrontFundr and just like really crossing your fingers and just like saying your prayers and hopefully you're going to hit that target. It's really silly. You definitely have to put in the work into making the company of what you wear. Peter-Paul Van Hoeken: Yeah. We often say we say look you're not outsourcing your funding to us. Yeah exactly. Yeah totally. Yeah that's it that's it's a great way to put it you know outsourcing your funding so to switch gears. You briefly mentioned regulations, and could you just turn you over to me. All right. My favorite topic. Yeah, I know I figure I figured you'd be the you should be the right person. To talk about it , when people think regulations, they think Peter-Paul FrontFundr. That's the guy the guy you ought to talk. I mean we definitely had a couple episodes back we talked about the regulatory burden that's currently going in on Canada and you do have you do play a significant role when it comes to the regulation side of Canadian fintech business. Could you just I mean like give us a little bit of you know like again for the people that may not know the work that your kind of doing could you just give us a little bit understanding of the work that your kind of doing when it comes to regulation and express your love for regulation. Peter-Paul Van Hoeken: Sure. Love and hate. I guess yeah. No, it's. Well you see the fact that we're operating. First of all, we are as FrontFundr and other platforms that are the take on funds from form investors are you know are our investment in any investment business right. And the Securities Industry and that's regulated. And that in itself the fact that the industry is regulated is fine and is actually needed. And then we've seen that in the past with a little note that this is a very challenging industry. It can be sort of tempting and then so there are rules in place to regulate that. And you know I understand that I support it and certainly for us we are basically have we with FrontFundr or we you know we operate a platform where we enable anyone really to invest in particular particularly early or earlier stage companies right. So, and so that's and because we are inviting the public to not invest in these companies’ early stage or for defense companies but all private companies. It is very important that these investors that may have never invested before and ever since companies understand what they're doing and understand the risks of investing in early stage companies right. So, and that and regulation supports that and make sure that investors are informed about the potential returns and risks before they make an investment decision. 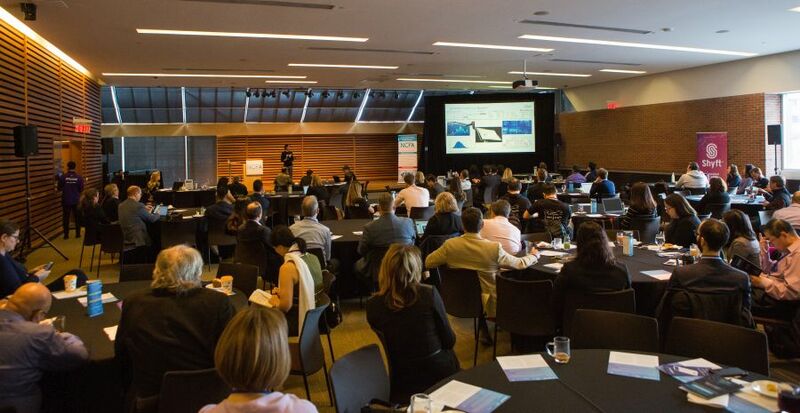 So, the rules and it's been with FrontFundr we've been kind of pioneering this in Canada with several other market participants as well is to explore this new way of enabling companies to raise from the wider investor community. And typically, it was restricted to you know to Angel investors, VC’s, and other accredited investors so investors whether certain amount of wealth and that is only around 3 percent of the total population. So, 97 percent of the population has traditionally been looked out for from investing in private companies. Right. Well there is a huge group of course in that audience that 97 percent that do have the may not be accredited but they do have investable assets and they say that they are interested in investing in early stage companies today that they are excited about and think may do very well and they want to get a piece of the action so that. And so, because it's a whole new group of providing regulation is key now the regulation got, I haven't read it in kind of our review security regulations is a provincial matter. So we have provincial securities regulators in Canada and they have introduced rules to support investment crowdfunding in the last few years in Canada but there are some challenges with those rules and for start because we are dealing with multiple securities regulators have multiple rules have been introduced so we've we don't have an harmonized investment crowdfunding rules in Canada and that is challenging because there are differences in the rules to be implemented. They're kind of fragmentized which means that you know in B.C. different rules or different limits or you know ways for companies to raise capital through events crowd from a play I suppose to other provinces. And so those differences are clearly a challenge for both for companies that are looking to raise capital from the right investor community across Canada as well as for investors because investors in one jurisdiction may be able to invest in an early stage company but not in another jurisdiction. And so that said that that does cause challenges and therefore you know clearly we're not we're shoring up, tapping the full potential yet of what investment crowdfunding has to offer and put that in perspective Manseeb even with the fact that in other geography like in the U.K. and now also south the board in the US where they do have a federal investment crowdfunding rules it has already become basically mainstream financing. And so, and so even in Canada we run the risk of falling behind because there are rules that are in place are not being harmonized and therefore making make it difficult for market participants to use when. Manseeb Khan: It seems like a no brainer. I like it this is like another no brainer thing of like hey if we're going to bring companies like FrontFundr or if we are a crowdfunding platform where everyone can because of an investor they should be able to get the same kind of protection know the same kind of rules like have some kind of regulation or regulatory body that kind of monitors it and not make it just like province specific right because like the fact that like I mean again it's probably cause it's very early. I mean you know like Canada has been. I've mentioned this more times than I can count but Canada has been always traditionally very conservative in the past. So, they're always willing to kind of like hold back on certain things when it comes to like well certainly when it comes like the regulatory body. So, I mean the fact that you said like the U.K. and the United States having already like rules and regulations they would have the ball rolling. It makes sense. I mean I think Canada is with amazing guys like you and like with Craig from who runs the NCFA here it's you guys are only going to get the ball rolling a lot faster and you guys are going to help bring awareness and it's just a matter of time before we have an overarching regulatory body that kind of covers like all of Canada and like any Canadian or any Canadian investor can kind of just like invest and if see a really amazing company in B.C. like you mentioned they can invest in that or if they see an amazing company in like Iqaluit that they really love they can invest in that as well. Peter-Paul Van Hoeken: Right yeah. It is it is a matter of time. Absolutely. You know I think what is important and it's rather soon and later we've had these rules, these new investment rules in place now for over two years so there are clearly you know lessons learned in an experience with how these rules work and what doesn't work. So, you know we have enough informational and experience to move forward with indeed you know harmonizing the rules. And again I think you know defects we're not necessarily you personally I'm not even asking for necessarily one national regulator which will definitely take much more time but it is more about harmonizing rules particularly this stage of investment crowdfunding because those rules are particularly targeted to our purpose is to is to enable you know startups early stage companies that need financing to grow and thrive. You know the whole point is to provide those companies better access to capital. So, you know root of the fragmented rules currently exist make that difficult and therefore they raise the threshold for these companies to raise capital right. And at the least they're raising the cost of raising capital for these companies. And again, given the you know the huge potential that we've seen pretty materialize in other in other countries. Is that for these companies to tap this pool of capital. Very significant pool of capital is obviously is important and a huge potentially huge help to these companies to raise capital. Manseeb Khan: Yeah, I mean it. And it really opens up like it opens a whole world of opportunity right for these early stage companies knowing that they don't really have to go the traditional route when it comes to investing right. I mean that's kind of why you're seeing a lot of companies now in like pretty much all 2018 you're seeing a lot of companies create their own ICO right because they don't want to go the traditional route of finding angel investors, finding VC's to help fund the company they're like hey we'll just create a coin and we'll just have like our users, our customers and our future customers raise money through that. Right and it just. Yeah. Like the fact that like a lot of early stage companies are kind of locked out of this huge potential market base of money that could really help them. It's kind of silly but like it’s going to be only a matter of time where more companies going to have access to that and just crowdfunding is going to be that much more incredible. Peter-Paul Van Hoeken: Totally. So, the effort you know you referred early on to initiatives and also with the uncertainly and NCFA taking lead in in promoting you know with burden reduction of regulation and that that that's that will be that will be important and it will definitely help to expedite this process of getting to you know harmonized investment crowdfunding rules. Manseeb Khan: Yes. And they're just going to get with the I mean harping back on the burden reduction. It's I mean once we once we get that all squared away it's going to give a lot more. It's going to give that much more breathing room. Right. I'll admit that's just one less thing that crowdfunding companies just did just to really worry about now they can actually focus a little bit more on like you test out your product drink your own whiskey and make it as incredible for investors to come in make it as seamless and just make the best product for the market. Manseeb Khan: So yeah. So, it's an opportunity for some investment crowdfunding enables companies not only to attract the funding they need to grow but it's also an opportunity for these companies to create awareness around their company and engage with the wider investor provider community by offering an opportunity to invest in their company. So, it's a kind of a combined funding and marketing exercise as well. So essentially by inviting the community to invest in your company you are able to share in the upside, but you also create a whole community of brand champions that literally have an invested interest because they invested in the company to you know to talk about your company and to share in their in their networks right. So, the companies that that do very well on our platform are companies that understand that and recognize the value of going out there to community not only to capital need but also to create awareness around throughout our company. Manseeb Khan: Yeah no I absolutely agree with you. I mean the best of the best kind of brand champions to have would be investors right because they know your product. they know you in and out. They know your story in and out. And the fact that they can kind of show that to their network and just like it just starts spreading out more and more awareness. I mean that's the best kind of PR. More or less than you can really ask for. Peter-Paul Van Hoeken: Absolutely. Yeah. Manseeb Khan: So, I mean aside from the raise is there anything that's really top of mind for you that you're really excited about in 2019. Peter-Paul Van Hoeken: Well I am you know given a view of where we are today and the successes with the investment crowd from what we've seen in across the globe basically it's exciting to see that this in some in some countries it's already case right where it already has become mainstream financing. So, the fact that we've unlocked huge pool of capital for early stage companies. To tap is very exciting. And again, we've got some work to do here in Canada certainly on there on the regulatory side to make to remove unnecessary barriers to and that enables us to also accelerate growth investment crowdfunding in Canada. And so. So, we've come a long way and there is there is more work to be done. But I'm I see 2019 as I in a year where investment professionals from Canada. Can really sort of push through and become you know head towards becoming a mainstream source of financing as well. Manseeb Khan: Yeah. No, I mean I'm very excited for crowdfunding to really just be that big be another channel for companies to really grow and to really grow and prosper. I don't know if you can answer this question but so with like after the raise what we can essentially expect from Frontfundr. I mean when people think a raise there's usually a purpose behind it so like say Frontfundr or hits the target and what can investors from Frontfundr can expect afterwards. Peter-Paul Van Hoeken: Great. Yeah. Oh, great question. Absolutely. We're obviously raising capital because we want to grow it takes the company to the next level. And so, for us that means that we basically know we've proven the concept in Canada. 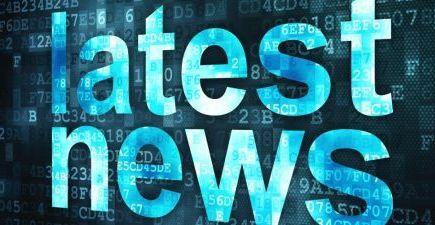 We've closed over 30 successful raises on our platform and we are now really, we already operating from coast to coast but really now at a stage where we are going to take it to the next level build out the platform nationally and also expand in the let's say the private market. So, we started with smaller capital raises also to prove the concept and demonstrate that it is it is possible to raise funds from the public basically. And now we're going to expand in terms of you know taking on companies that are still private companies that are in later stage companies that are looking for growth and expansion capital. And so, we're diversifying into a lot of different stages of development of companies and those companies you know they're there first and then still need money to take it take it to the next to the next level and expand. So, we're bringing on those companies and it also enables us on the investor side of our platform to offer our investor clients you know more opportunities for diversification so they can invest in earlier stage companies that are really in the early days of proven concept to later stage companies typically already generating revenues that will be have a different risk profile. So, it enables investors to create a portfolio if you like in companies in different stages of development so that's on the on the road map. And now that we've proven our concept also going to take front runners and makes leverage terminals getting the word out there. So, promoting fund from there and marketing around our brand we kind of stepped it up. We're going to step up our activities to support companies successfully closing raises so we're going to build out of these companies with them with their campaign. And so that's now those are some key elements of what's what you can definitely expect in the next the next 12 months for us. And I mean ultimately, we are we want to build out our positioning in Canada and we want to make that platform better as well. So, part of the use process also going into further developing our technology platform and essentially making it easier for companies to build their campaigns on our platform and for investors to make the entire investment process as you know as smooth as possible. So those are some key elements of what we're looking to do with the proceeds of this round. Manseeb Khan: I mean I'm excited to be able to invest in like later stage companies that I think that seems very super enticing that in and of itself I'd like not only can invest in companies very early on but you can actually invest in companies in later on stages to have a little bit more proven track record like that. I'm excited for the for the future of a Frontfundr. So, with that I'm just gonna I'm just gonna wrap it up. Ok. So, what would be the best way for the audience to either reach you Peter Paul or Frontfundr would it be through email, Twitter, Snapchat, like smoke signal, Raven, carrier pigeon what would be the best way for the audience and potential future investors to reach out to you guys. Peter-Paul Van Hoeken: Yeah absolutely. So. Well the best way to get in touch with us and learn more about what we're doing is to go to our Web site Frontfundr dot com and all the information is there you can explore you know learn how it works. You can explore investment opportunities obviously also learn about our own capital raise right now. So, I would say that's the best way to get in touch with us. We always also active on Twitter Facebook Linked In and so it's very easy to find us. But I would say visit our Web site and an explore sign up so we can keep in keeping in touch with you and keep you I'll keep you posted on the on what's happening at Frontfundr. And yeah that's the that's the best way frontfundr dotcom. Manseeb Khan: Thank you so much for staying with me today and I'm super excited to have you back on when you guys close around and start taking on more later stage companies. Thank you. Thanks, Manseeb thanks very much. Upstarts in the financial sector say the data-driven concept of “open banking” could inject a healthy dose of competition into Canada’s highly concentrated financial services industry — but it may take some convincing to get the bigger players to embrace the idea. Last week marked the deadline for submissions to the federal government’s consultation on the framework, which if adopted could allow consumers and businesses to make their financial transaction data available to third parties. That information is currently controlled by banks and other financial institutions used by the consumer. If that data was portable, however, other parties could potentially use it to better price or tailor products or services, such as an app that would let a customer keep tabs on all of their accounts at various banks through a single dashboard, without violating their bank’s terms and conditions. Open banking could make switching accounts easier as well. A spokesperson for the Department of Finance Canada said they had received more than 95 submissions for the consultation, the results of which will be made public in a form that is still being determined. 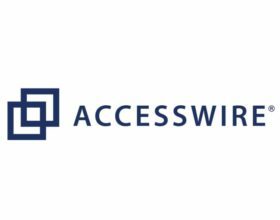 Among the parties who made submissions in favour of some degree of open banking were Toronto-based alternative lender Equitable Bank and Portag3 Ventures, a venture capital fund backed by Power Corp. of Canada that has invested in fintech companies such as robo-advisor Wealthsimple. Equitable, Canada’s ninth-largest independent lender, said a framework that supports the idea of customers owning the rights to their own financial data would increase “the competitive intensity” of the banking industry. Andrew Moor, president and chief executive officer of the branchless bank, said Equitable’s view is people should shop for the best banking services they can get. Portag3 Ventures, meanwhile, predicted in their submission (published on its website) that open banking would “stimulate” competition in the sector. The current consideration of open banking comes as technology is disrupting industries around the world. While Canada’s major lenders have spent billions on technology and innovation, including partnerships with upstart financial technology players, they appear to be lukewarm on open banking — or anything that risks opening the financial system to third parties. 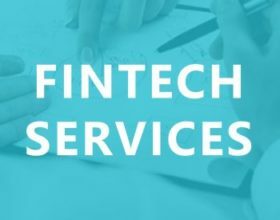 Sue Britton, chief executive officer of the FinTech Growth Syndicate, said the types of fintechs that financial institutions are currently partnering with are more business-to-business firms that complement a bank’s operations, rather than compete with it. Nearly all of the big five banks did not respond to questions for this article. However, the Canadian Bankers Association’s submission to the open-banking consultation divided the industry group’s concerns, and potential remedies, into four areas highlighted in the government’s consultation paper: consumer protection, privacy and confidentiality, financial crime and financial stability. As an example, the CBA said that when more parties are transmitting and storing financial-transaction data, the risk of identity theft increases too. Third parties that store log-in credentials, such as usernames and passwords, could also be more susceptible to cyber-attack if their controls are lacking. Even if there are concerns around security, the banking sector is still preparing for whatever form of open banking may come. “If we can figure out how to solve for security, transparency and control, we can have an open banking system in this country that could work very well, in my view,” White is quoted as saying. At the time of Gates’ comments, a U.S. analysis found that just 2% of venture capital finance went to start-ups founded by women, and with women comprising just 9% of the decision-makers at U.S. venture capital firms, the lack of female VC representation seemed a compelling reason as to why. The situation a year on shows no sign of improving. Recently, a UK VC & Female Founders report for the Treasury discovered that for every £1 of VC investment, all-female founder teams get less than 1p. Even within the more disruptive, and arguably progressive, realms of crowdfunding, women are underrepresented – Crowdcube found that only 18% of their funded pitches are led by females or a joint team which includes a female. As well as being hard to believe in this day and age, this status quo also makes terrible business sense. Businesses largely led by women do better than male-dominated ones. And this isn’t a new discovery. Multiple studies have shown this, and just recently, a report from US accelerator Mass Challenge found that for every dollar invested, a company founded by men generated 31 cents – compared to 78 cents produced by start-ups with women on the board. Truss says she wants to see more women starting up businesses to “supercharge economic growth”. Whether our economy can be “supercharged” given the uncertain times we face, I’m certain that investing in female-founded or female-led businesses is one of the smartest things investors can do. I understand the raising investment challenges start-ups face, particularly female-led start-ups, because I’ve experienced them first-hand – both in my identity as an entrepreneur in my past business, and now in my investment consultancy role – and I would say there are a few factors at play. Firstly, investment is not really an industry many women tend to enter. It is viewed as a bit of an old boy’s club and has a reputation for not being female friendly. People don’t tend to want to go to a party that they’ve pointedly not been invited to or where they will be in the minority. There is also an unhealthy dose of old-fashioned sexism still at play here. I’ve been to several board and investor meetings at investment and law firms across the city and on more than one occasion people assumed I was there as the PA or the stand-in receptionist. Not the person presenting in the boardroom to the partners of the firm. I’ve also recently been in an office filled with men whose artwork on the walls included paintings of naked women! The gender bias of the industry is also causing a vicious circle which is contributing to locking female founders out of investment. There are very few female investors in the UK, and at the same time, investors tend to invest in sectors that they know or intrinsically “get” which makes good, solid sense. Yet if all the investors are male it makes it that much harder for female-led and female-focused businesses to secure investment. But in the two years of raising £18 million for businesses of all sizes, including those with female founders, I have seen flashes of brilliance from the female-led camp – both in terms of women getting behind investment propositions and in how women are turning the situation to their advantage. We recently managed The Baukjen Group’s crowdfunding campaign on Crowdcube. The brand, built on its premium Isabella Oliver maternity range and its contemporary womenswear offer, is understood by women. Its wife and husband founding team also offers the gender mix which we have found works incredibly powerfully for investors. Their raise achieved the highest number of female investors ever to invest in a company via crowdfunding – 77% of investors were women, compared to an average of 31% (Crowdcube.) It showed that women are ready to invest, and with a more democratic crowdfunding platform, they are able to play a bigger role and respond to brands they believe in. While a lack of confidence and reticence in their approach to equity raising is holding female founders back, it is also driving them to approach investors with a more thorough and robust style. We have found in our experience with businesses that women tend to get down to the numbers, hard facts and proof-points much quicker than men when seeking investment. Female founders should play on this trait – especially when pitching a product that male investors wouldn’t intrinsically understand. When Trinny Woodall pitched her beauty brand to investors, she knew that women would love her brand and would recognise the benefits of her make-up and the pain points it solved. However, looking around the room she recognised that she was pitching a female-focused product to a room full of men. So instead of pitching her product, she pitched purely the numbers, the margins, the market and the size of the opportunity. In contrast, when we are dealing with an all-male founding team it can take us weeks to cut through the bravado, whereas women often take a more grounded approach – setting forth figures and projections plainly. The irony of this is that women are less likely to pursue investment in the first place, and when they do, are less likely to ask for what they need. This is a problem. One of the biggest solutions to the inequality of raising investment is around education. Female founders can be wary of investment because they view it as taking on debt but there are different forms of funding and it’s important to understand what funding actually means for your business. Equity funding is not debt and you won’t owe investors that money. You do have an obligation to do your best and use that funding wisely, with the aim to give a return but if it all goes wrong, investors lose their capital and know the risks involved.